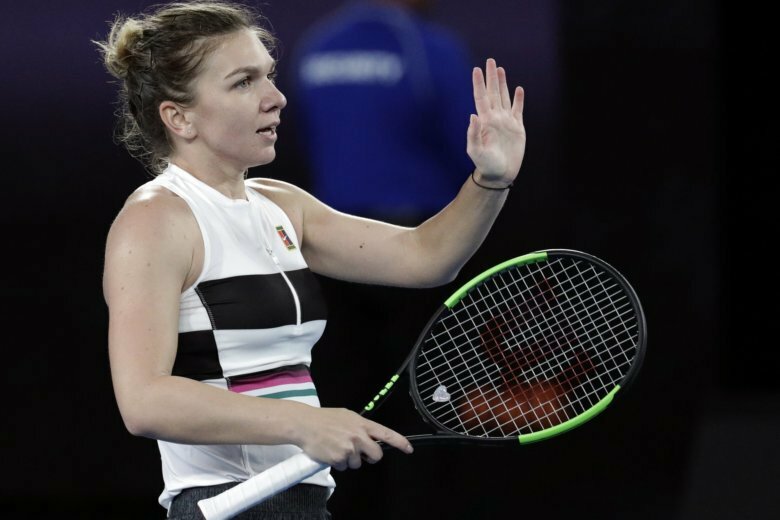 Top-ranked Simona Halep has beaten Venus Williams in their two most recent matches. Williams won their first three matches, and on Saturday they’ll meet in a Grand Slam singles match for the first time. “She’s very consistent on the court and in her results,” Williams says of Halep. “So throughout the year she’s playing at a really high level. That’s what keeps her ranking up.” Venus’ sister Serena Williams plays Dayana Yastremska in another third-round match, and U.S. Open champion Naomi Osaka takes on Hsieh Su-wei. In men’s third-round play, top-seeded Novak Djokovic, after beating former finalist Jo-Wilfried Tsonga, has another major test when he plays Denis Shapovalov. The next highest seed in Djokovic’s half, No. 4 Alexander Zverev, plays Australian wild-card entry Alex Bolt, who beat No. 29 Gilles Simon in the second round. Rain delayed play on outside courts for 2 ½ hours and forced the roofs on the three main show courts to be closed early in the day. Men’s 3rd round: No. 2 Rafael Nadal beat No. 27 Alex de Minaur 6-1, 6-2, 6-4; No. 3 Roger Federer beat Taylor Fritz 6-2, 7-5, 6-2; No. 6 Marin Cilic beat No. 26 Fernando Verdasco 4-6, 3-6, 6-1, 7-6 (8), 6-3; No. 22 Roberto Bautista beat No. 10 Karen Khachanov 6-4, 7-5, 6-4; No. 14 Stefanos Tsitsipas beat No. 19 Nikoloz Basilashvili 6-3, 3-6, 7-6 (7), 6-4; Tomas Berdych beat No. 18 Diego Schwartzman 5-7, 6-3, 7-5, 6-4; No. 20 Grigor Dimitrov beat Thomas Fabbiano 7-6 (5), 6-4, 6-4; Frances Tiafoe beat Andreas Seppi 6-7 (3), 6-3, 4-6, 6-4, 6-3. Women’s 3rd round: No. 2 Angelique Kerber beat Kimberly Birrell 6-1, 6-0; No. 30 Maria Sharapova beat No. 3 Caroline Wozniacki 6-4, 4-6, 6-3; No. 5 Sloane Stephens beat No. 31 Petra Martic 7-6 (6), 7-6 (5); No. 8 Petra Kvitova beat Belinda Bencic 6-1, 6-4; Amanda Anisimova beat No. 11 Aryna Sabalenka 6-3, 6-2; No. 15 Ashleigh Barty beat Maria Sakkari 7-5, 6-1. 100 — number of singles matches Federer has played at Rod Laver Arena. “It’s not easy to play these kind of players that you’ve been watching for so long, and you finally get to play them” — Tsitsipas on his next match against Federer.